Robert Havlin will make his return to the saddle at Kempton on Wednesday night, after more than two months out on the sidelines with injury. The 45-year-old broke his collarbone and a rib when falling aboard Beehar at the Sunbury venue in early February, who sadly could not be saved from his tumble. Charlie Bennett was cautioned for twelve days for his part in the incident, whereby his horse Lieutenant Conde clipped heels with Havlin's mount. The Scottish-jockey will put that all behind him however, and has the Mohamed Moubarak-trained Cedar in the 32Red Casino Handicap to look forward to at 6:15pm. (Credit: At The Races) He said: “I’m making a nice, low-key comeback at Kempton. I will be riding there, then at Chelmsford on Thursday and Newbury on Friday. “Since being out, I’ve been doing school runs – along with taking the kids to gymnastics, swimming lessons and laser tag. The kids don’t want me to go back to work! “The collar bone has healed really well, and I got more pain off the rib- but once that settled down it was okay. The collar bone was a clean break, and the specialist is happy with how it has healed. “I had to do a fitness test at the RaceFit gym in Newmarket and go on things like the Equicizer and pulling weights – and they were happy with everything," he said. Havlin, who celebrated the first century of his career last year, has been long attached to the John Gosden yard, and was sat fourth in the all-weather jockeys' championship on 36 winners at the time of his fall. After two months out of the game, he has been preparing for a return in more ways than one. He said: “I’ve been back on the mountain bike for the past three and a half weeks. I really enjoy doing that – and I’ve been swimming and doing weights as well." "It will be two weeks tomorrow since I’ve been riding back out with John [Gosden]. The first few days, I was just on a few quiet ones, but since then I’ve been happy to ride whatever." 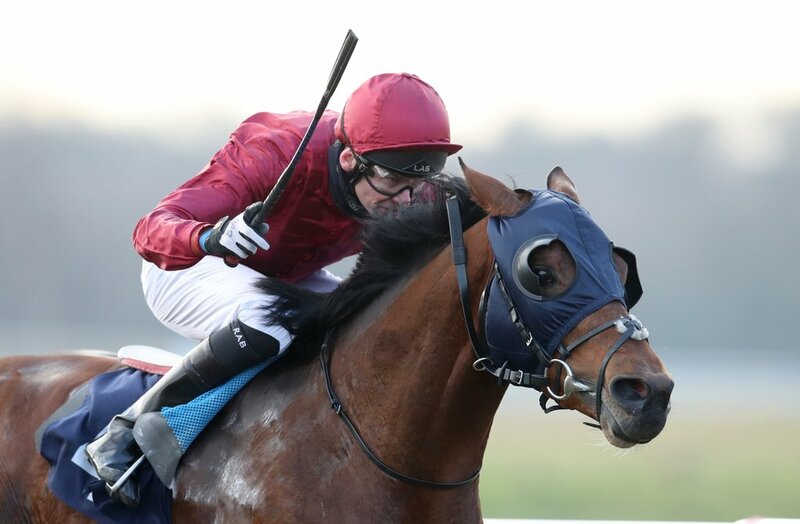 With the turf season now underway, and the first Classic of the season on the horizon, Havlin will be looking ahead to next week’s Craven Meeting at Newmarket - a major trial for the 2,000 Guineas. The scotsman has two mounts for Gosden in particular that is certainly wetting his appetite. He said: “I’ve got Angel’s Hideaway in the Nell Gwyn and Azano in the Free Handicap. Azano was second in the Horris Hill on his last start. “I’ve been riding Azano at home, and he has been a test because he can be on the mettle, but he has got me through the pain barrier. It will be good to get back on these nice horses", he said.